This week Professor Terry has chosen to showcase his 4-pack collection. 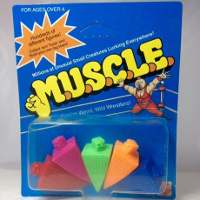 A spotlight on one of the most unique custom M.U.S.C.L.E. projects ever. 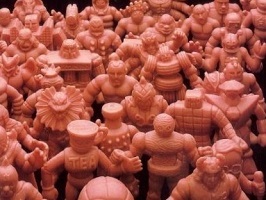 The “Custom M.U.S.C.L.E Yama-Bito Keshi” 10-pack was created by Halfbad Toyz.